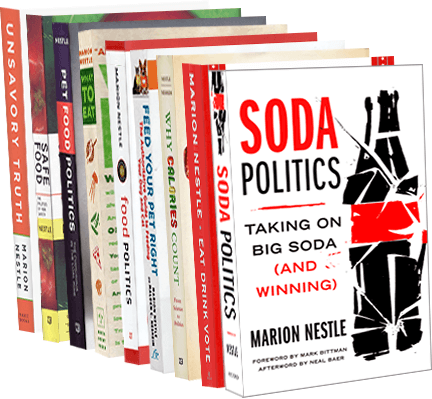 Food Politics by Marion Nestle » American Enterprise Institute advocates single food-safety agency! American Enterprise Institute advocates single food-safety agency! Politics does indeed make strange bedfellows. More feasibly, in the short to medium term, changes in food safety regulation should aim at correcting inconsistencies or loopholes that exist in US food safety laws. For example, policymakers could merge the FSIS and the FDA to allow for a better allocation of resources and exploit potential return to scales. Standardizing states’ detection systems for food-borne illnesses and collecting better data about the incidence of food-borne illnesses would make firms more accountable and help construct better food safety policies. Merge the food safety functions of USDA and FDA? This, of course, is precisely what food safety advocates and the Government Accountability Office have been urging since the early 1990s. Now, maybe, it has a chance?